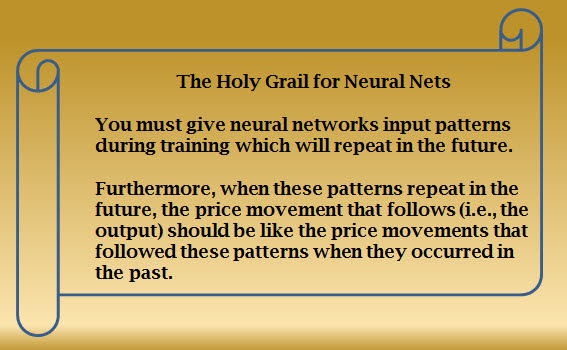 When you don’t know the rules for a security you want to trade, neural networks can be your best trading assistant. But there are some benchmarks that can help you decide whether your model is ready to take the leap from your demo account to your live trading account. But what does this mean when you’re creating a predictive model? The daily chart below shows both trending and sideways markets with a number of peaks and valleys that signify patterns that can be learned by neural nets. Once you’ve identified an appropriate security or securities, the next step is to select indicators or other instrument data that can capture leading patterns. 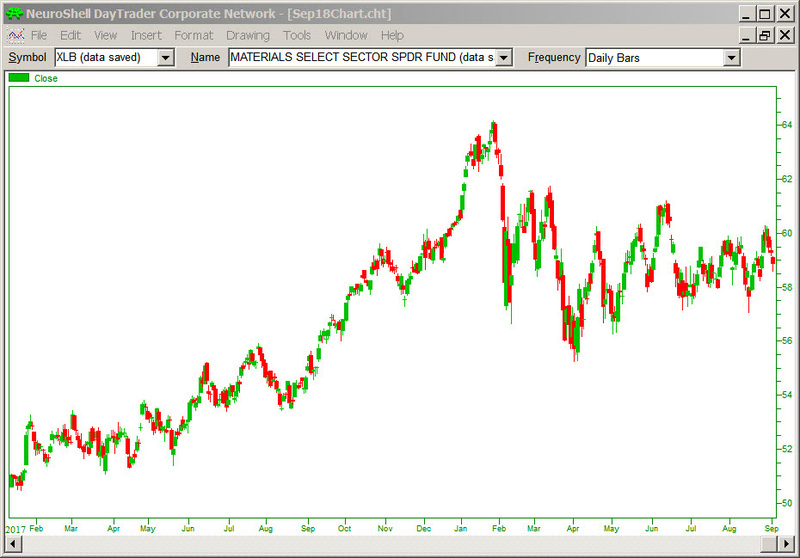 Graph the data on the chart and select those that show movement ahead of the price curve. In the prediction above, blue triangles denote Long Entry signals, while the red triangles are Short Entry Signals. The resulting prediction captures patterns in both the short and long term time frames as noted by signals appearing in peaks and valleys and generates a slowly rising equity curve. Before you trade your real account, make sure the trading signals that appear in the out-of-sample periodmimic the profitable trading signals from the training period. 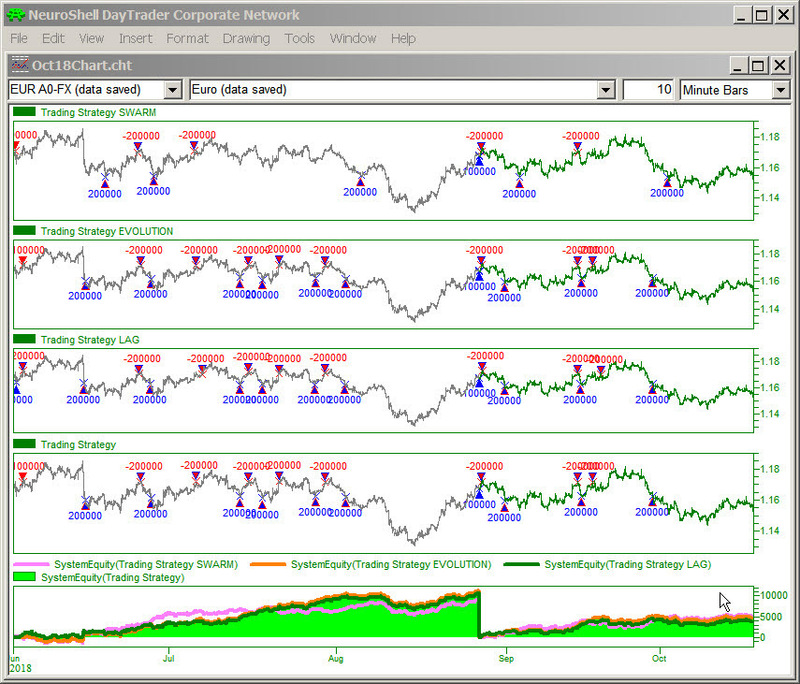 As with all models, you need to monitor performance and retrain the model as conditions change. If you don’t see the performance you want, you may have to change securities. Remember, your objective is to make money, not to trade your favorite security. You can download our example chart by clicking here.